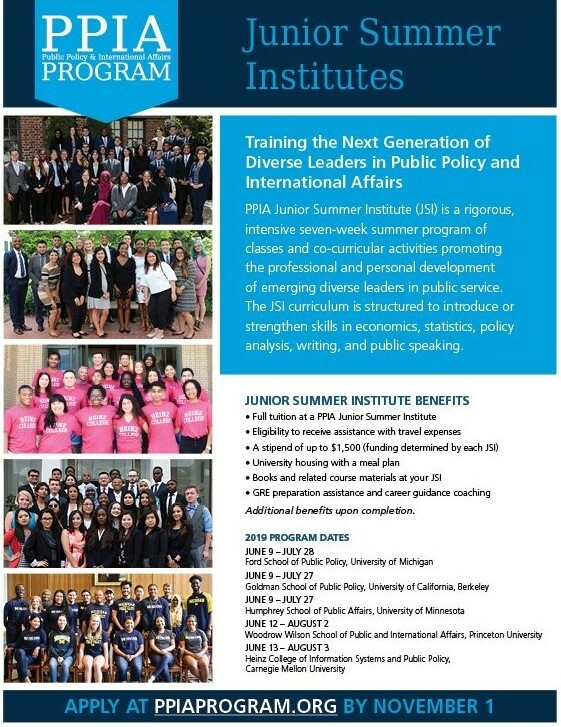 This upcoming summer the Woodrow Wilson School of International and Public Affairs (WWS) will once again host a Junior Summer Institute (JSI), a funded seven-week fellowship component of the Public Policy and International Affairs Program (PPIA). The PPIA Fellowship is the single largest leadership program of its kind in the United States for underrepresented groups in public policy and international affairs. The goal of the program is to prepare students from diverse backgrounds - including underrepresented racial and ethnic minorities and students from families with lower socio-economic backgrounds - for graduate study and careers in public policy. Princeton along with Carnegie Mellon University, the University of California at Berkeley, the University of Michigan, and the University of Minnesota each hold a program on their respective campuses. JSI students not only receive full tuition for the program, housing and a meal plan, but also are eligible for at least a $5,000 PPIA scholarship to put toward their future public policy master’s degree at PPIA schools. 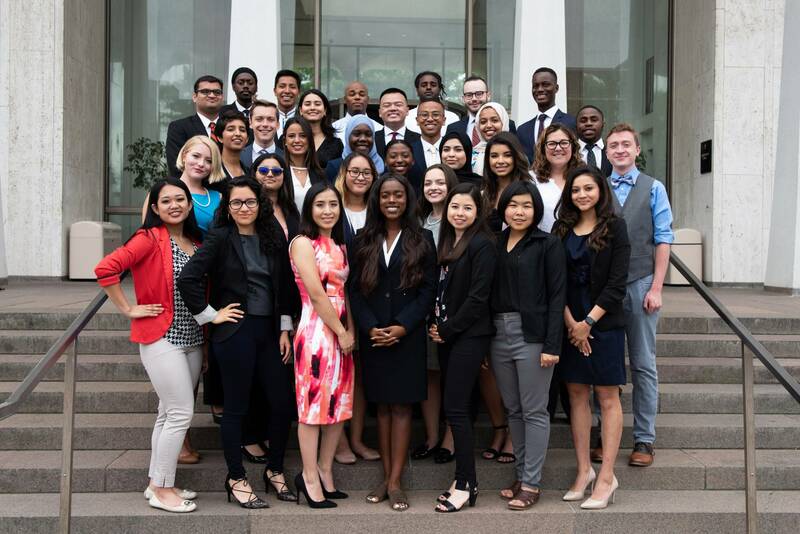 This recent summer the WWS welcomed 31 aspiring public servant leaders to our program that introduces and fortifies skills in economics, statistics, policy analysis, writing, and public speaking. Students took several courses, participated in lunch meetings and seminars with practitioners and researchers, and engaged in a policy workshop where they researched and evaluated a public policy issue in depth and formally presented recommendations. Field trips and social activities rounded out the experience and further strengthened connections. For even more information, several recent JSI students shared their experiences. If you think you might be a match with our Junior Summer Institute, please apply!